Sinks are a big part of our lives, from dish washing to hand washing to plant watering and more. We often don’t think about sink issues until they happen, and sometimes it can be difficult to pinpoint the problem. Usually it’s one of two things that require sink repair: your faucet or your pipes. Many times, your faucet can be the one causing sink issues. If you have a leaky faucet, an inconsistent water stream, faucet knobs that squeak, screeching or clanking noises when you turn the faucet on, or a faucet that’s simply old and doesn’t function well, our commercial and residential sink repair services can help. Whether it’s your kitchen sink, bathroom sink, or a sink in your laundry room, we’ll assess the problem and find a solution. Sometimes a plumbing issue is more than just a leaky faucet – sometimes it’s a pipe issue. 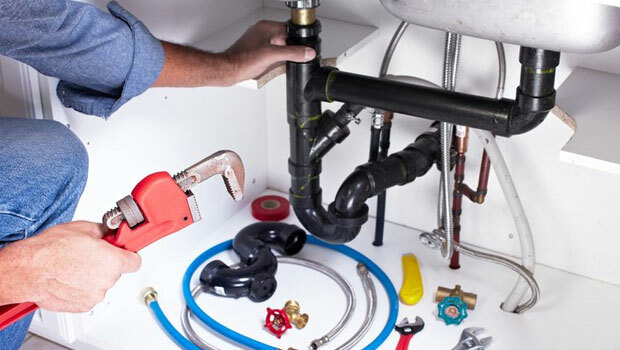 If you’ve noticed your pipes making odd or loud noises (one of the most common is a hammering sound), call one of our sink repair specialists. We’ll take a look at the situation and if we find that your pipes are old, we may suggest a replacement. If we find that it’s simply a leak or a fitting problem, we’ll repair it as quickly as possible. If you believe that you need our sink repair services, give us a call or contact us today.